When it comes to barbecue, most restaurants in Delhi-NCR offer more or less a similar menu. 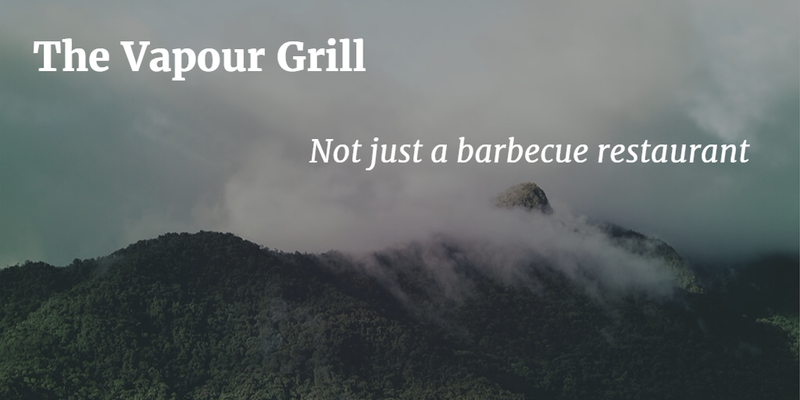 One name that truly stands out though is The Vapour Grill. 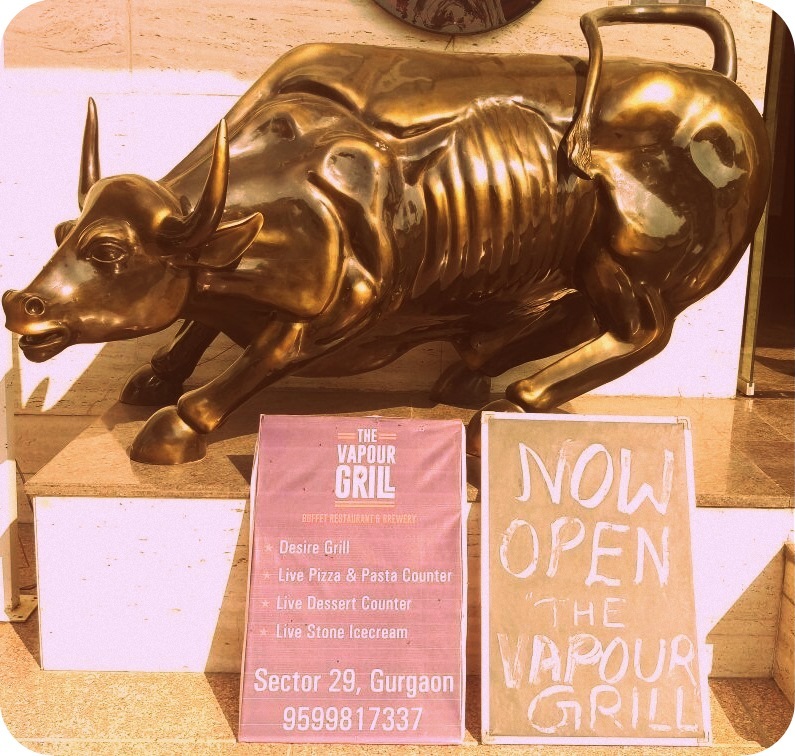 Located in a quaint corner of Sector 29 in Gurgaon, The Vapour Grill is the brainchild of known restaurateur Vikram Rana. 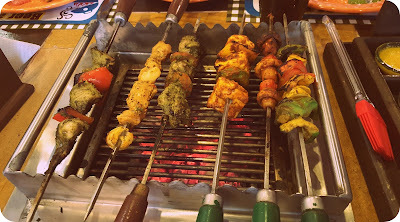 As a frequent visitor of Barbeque Nation and Pirates of Grill, I was curious to know how this new property is able to differentiate itself from the competition while providing a unique dining experience to customers. The first thing you'll notice at The Vapour Grill is that they are not just a barbecue restaurant. 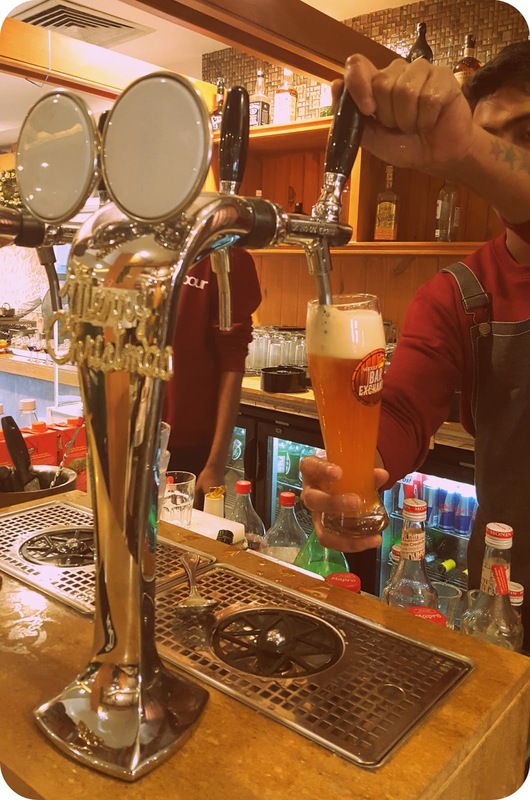 Besides offering a grill on the table, the restaurant is upping the ante by providing unlimited buffet, freshly brewed beer, live pizza and pasta counter, live chaat counter, and live dessert counter. The buffet is economically priced, for example, if you visit them on a Wednesday, you can avail unlimited lunch at just INR 499++ (for vegetarians) and INR 599++ (for non-vegetarians) and unlimited dinner at INR 749++ (for vegetarians) and INR 849++ (for non-vegetarians). 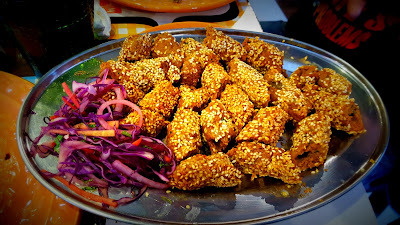 Since I went exclusively for a review, I was offered a variety of dishes on the table itself (courtesy: Chef Girish). I quite liked the Crispy Corns and Grilled Cinnamon Pineapple (which, believe it or not, was stuck to a sword before being cut as thin strips). The real deal was when the chef served Grilled Baby Octopuses on a skewer. Imagine the unprecedented excitement on my table; for the first time ever I was going to savor grilled tentacles of baby octopuses precooked with a variety of Indian spices. Another specialty at The Vapour Grill is the Roasted Turkey, which tastes absolute heaven with grape sauce. You don't need to skew the meat for the barbecue, as this is handled by the servers at the restaurant. 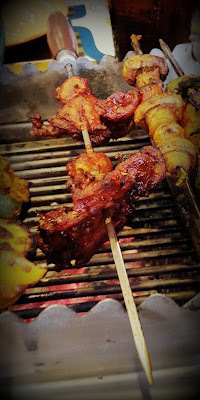 Talking of barbecue, the Desire Grill is a great assortment of nine exotic meats and vegetables that you must try here. And while you're at it, don't forget to relish other delectable starters like the Peshawari Paneer Tikka, Sulaimaan Tangri, Lebanese Fish, Crispy Fried Potato, Maharaja Prawns, and Devil Mushrooms. 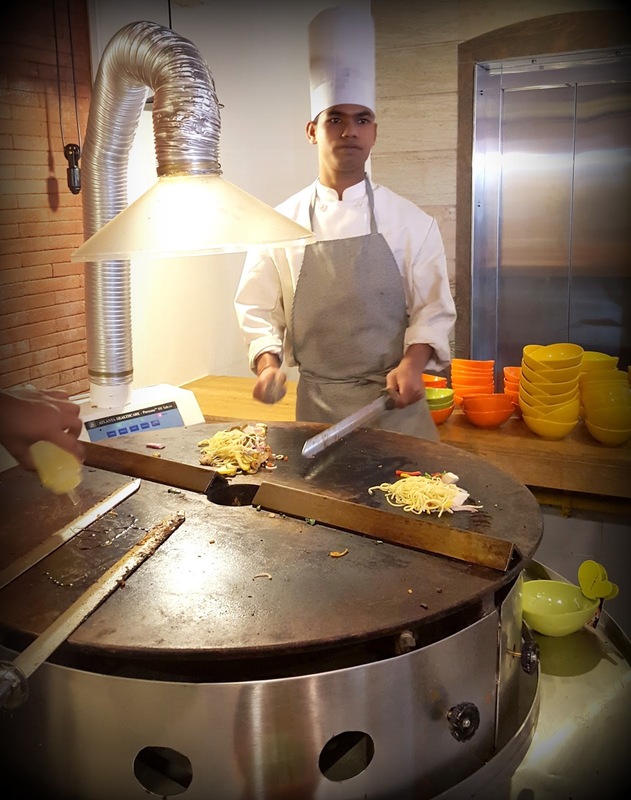 On your first visit to The Vapour Grill, make sure to spend some time with the chefs, as they prepare your favorite meat and vegetables on a Mongolie grill, a large, round iron griddle. 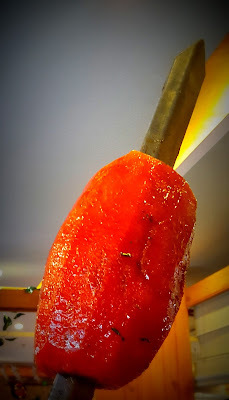 The preparation is done at temperatures that go up to 300 °C. In the mood for your favorite street snacks? The live chaat counter at The Vapour Grill serves mouth-watering panipuri with a mixture of flavored water, tamarind chutney, curd, chaat masala, potato, onion, chickpeas, and chili. If you still have room for more, try to hit the live pizza and pasta counter. My recommendation is the wood-fired pizza and vegetable pasta in white sauce. 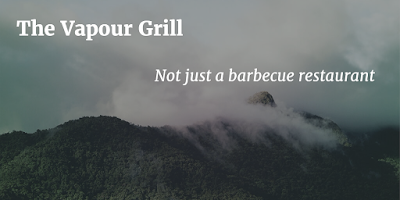 The Vapour Grill is as much about drinks as it is about food. If you're fond of freshly brewed beer, head straight to the microbrewery. You can also order the Bailey's Irish Cream shots to add some adventure to your evening. 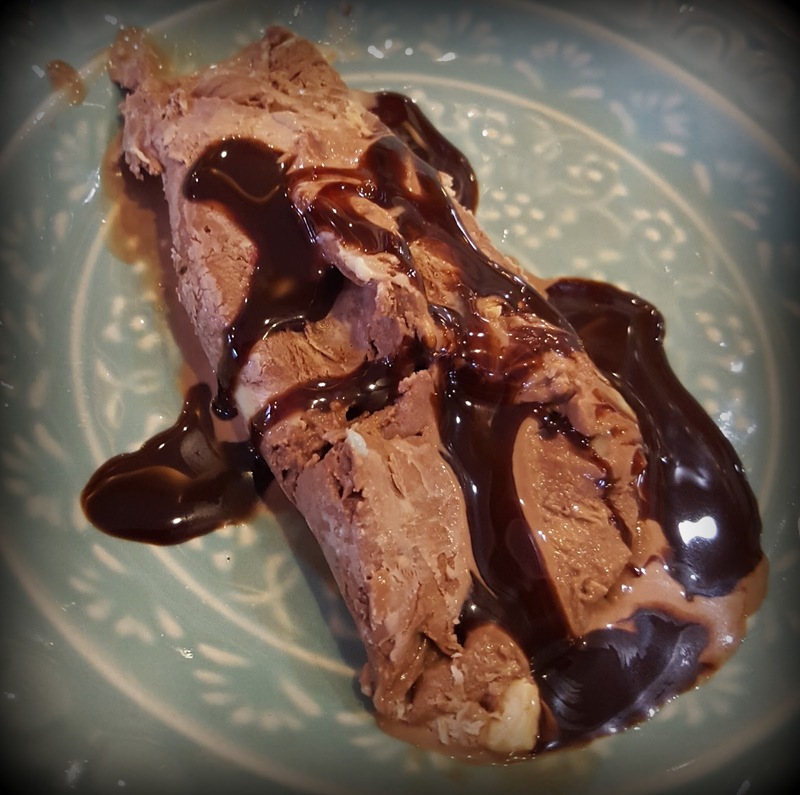 My last pit stop before heading home was the live dessert counter, where I saw the heavenly cold stone ice cream prepared right in front of my eyes, with an assortment of chocolate flavors and mixed dry fruits. The offerings at The Vapour Grill complement each other in unique ways. If you're going for an experience at The Vapour Grill, you will not be disappointed!